With over 20 years of orthodontics experience, our ortho-practitioners possess the know-how to get your smile looking its best. We offer a full range of orthodontics treatment plans, products and services at our Kelowna practice, with Dr. Chad Fletcher leading the way. Early orthodontics, also known as interceptive orthodontics, are utilized to proactively align teeth and bites at the first sign of issues. We’re a family practice, and we understand the unique needs of children when it comes to dental health. Orthodontics can be applied at any age, and thanks to recent advancements, treatment options are more comfortable and discrete than ever. Aligned teeth not only create a more confident smile, but depending on the severity, may improve other areas of your oral and overall health. We offer a full array of traditional aligners, including metal and ceramic braces. The personalized and attentive care that we offer each and every patient allows us to help you make the best choices for your dental health. At Care Dental, there’s an orthodontic solution for everyone. As a fully Invisalign certified clinic, we are able to offer effective aligners that are virtually invisible, so you don’t have to choose between having a beautiful smile now or in the future. That same spa-inspired and flossome general and cosmetic dental experience that you’ve been hearing about — it’s available to our ortho patients as well. Our relaxing atmosphere helps to ease dental anxiety and make you as comfortable as possible. Once your initial visit is complete, we work with you to schedule convenient check ups and hygiene on a regular basis. At Care Dental, we call this a ‘reCare’ booking and it typically takes place every six to nine months. During this booking, your Dentist will give you a thorough check-up and your Dental Hygienist will deep clean your teeth. A reCare booking is approximately 1-hour in length. A missing, cracked, or chipped tooth doesn’t have to stay with you for life. Get back to a full smile with our specially crafted bridges and crowns. By matching the pontic (artificial tooth) to your surrounding teeth, your crown or bridge will fit in perfectly with your smile, shade included! 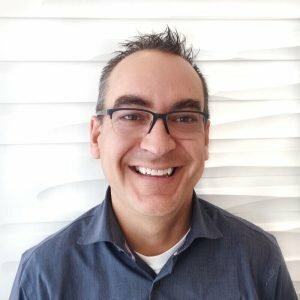 Dr. Chad is an incredible fit here in Kelowna, and not just because of his affable personality and warm smile, but also his commitment to the latest in dental techniques and advancements. His love for the field takes him “back to school” two or three times each year and on top of his expertise in all aspects of General Dentistry, he has developed his passion in the field of orthodontics.